Denied Entry to Canada? Criminal Record? We Can Help! Any person that attempts to cross the Canadian border from the United States while inadmissible to the country for any reason may be denied entrance. There are many reasons why an American can be denied entry into Canada, and we have listed all the major ones below. Whether you were refused entry at the Canadian border due to criminality, lack of ties to the United States, or because of a previous overstay, our Canadian immigration lawyer can help you enter Canada once again. Refused entry to Canada? Phone us now for a free extensive consultation! Criminal Inadmissibility - Anyone who has ever been arrested or convicted of a crime in the United States may be criminally inadmissible to Canada and refused entry at the border. Even a single misdemeanor such as a first offense DUI or DWI can render an individual excludable from Canada, and there is no presumption of innocence for the purposes of Canadian immigration. This means that as soon as a person is arrested for a crime such as drunk driving, they may no longer be eligible to travel to Canada even though they have not yet been convicted in the court of law. If a person has a felony conviction on their criminal record, or more than one misdemeanor charge, they may never automatically be deemed rehabilitated by Canadian law and risk being denied entry even 20 or 30 years later. Impaired driving is considered a serious crime in Canada, and a single DUI can now cause problems at the border even if it happened more than ten years ago. It is the equivalent Canadian offense that affects admissibility not the specific American statute an individual was charged with, which means that even wet reckless driving, under 21 DUI, civil DWI (traffic violations), dangerous driving, or driving with a suspended license offenses can all result in a denial of admittance when crossing the border into Canada. Now that a DUI is considered serious criminality according to Canadian law, the number of visitors being turned away at the border due to past intoxicated driving offenses is extremely high, and agents will rarely ignore such a conviction if it comes to their attention. If an arrest appears on a person's criminal record, the onus is on them to be able to prove to border security that they are admissible to the country. Unless the person has evidence of a favorable outcome such as a "not guilty" finding (acquittal), absolute discharge, or other "no conviction" conclusion, entry to Canada can be a problem without special permission via a Temporary Resident Permit (TRP) or Criminal Rehabilitation (CR). The Canadian border has full access to all US criminal databases and Department of Motor Vehicle databases, and without a TRP or documents proving a dismissal, expungement, or completion of a conditional discharge program an individual can be denied admission. Intention to Stay in Canada Indefinitely - If Canada Border Services Agency (CBSA) staff believe a person attempting to enter Canada does not plan on leaving the country again that person's ability to cross the border may be revoked. To avoid this scenario, it is important to carry with you proof of ties to the United States such as a mortgage, apartment lease, or current job that can support the narrative that you are traveling to Canada as a genuine visitor for a limited amount of time and then will return to the USA again. Lack of Valid Travel Document - Individuals that attempt to enter Canada without a valid passport or another legitimate travel document such as Enhanced Driver's License will not be allowed into the country. If a person's passport is expired or will expire before their planned date of departure from Canada, they may also not be permitted entry at the border. Past Immigration Violation - Any foreign national that has previously violated Canadian immigration law, such as working without a permit or overstaying on a prior visit, may receive a refusal of entry at the border. The Canada Border Services Agency (CBSA) is very tough on people who violate Canada's immigration laws, and breaking the rules can even result in a ban from Canada of three to ten years. Intention to Work Illegally - If CBSA officials suspect someone may be trying to enter Canada in order to work without a permit, that person will likely be rejected at the border and sent home. If border agents have even that slightest suspicion that you may be coming to Canada to seek employment without a Canadian Work Visa, they will ask for evidence of your ties to the United States and your current work status. Unless you can provide evidence of employment in the US, you may be denied entry to Canada because of the chance you might be planning to work while in the country. If border agents search your luggage and find resumes, work tools or equipment, contact information of potential employers, or anything else in your possession that would suggest you are planning to work while in Canada, they are obviously going to be highly apprehensive about admitting you into the country. Lack of Funds - Canadian border officials may require a visitor to prove they have sufficient funds to support themselves while in the country. For this reason, it is important to either print out a bank statement before traveling and bring it with you or be able to log into your bank account on your mobile device. The amount of money border guards will consider sufficient depends on the duration of your planned stay in Canada. Warrant - Individuals with an active warrant out for their arrest in the United States, including a bench warrant from a different state, are considered inadmissible to the nation and may be denied entry into Canada. Once the Canadian border refuses entry to a wanted person, they will often contact the local American police force and give them a heads up which will frequently result in the individual being arrested immediately. If the active warrant is from Canada, you may be detained as soon as you present yourself at the Canadian border. Officials will then confirm the validity of the Canadian warrant with the issuing jurisdiction, and if the warrant is valid they will coordinate to ensure your arrival in that jurisdiction. Immigration Fraud - Any foreign national that tries to cross the Canadian border or participate in one of Canada's immigration programs under false pretenses risks not only being stopped at the border but banished from the country for several years. Forging a document to get a Temporary Resident Permit, or assuming a false identity using a friend or relative's passport, are two types of fraudulent entry that can land a person in serious trouble. Admitted Drug Use - If you have publicly admitted to illegal drug usage, or tell CBSA personnel that you have consumed prohibited drugs in the past, you risk being refused entry at the Canadian border. Gang Association - If Canadian border agents believe you are a member or associate of an illegal street gang or are involved in any way with organized crime, they may deny you entry to Canada. Several high-profile American rappers have been rejected at Canada's border for this specific reason. Health Grounds - Foreign nationals with a health condition that could pose a public safety risk to Canadians, such as a contagious disease like tuberculosis, may be rejected at the Canada border. A Temporary Resident Permit can be used to overcome medical inadmissibility to Canada in addition to criminal inadmissibility. Other - There are also a wide variety of miscellaneous reasons why Americans can be refused entry when traveling to Canada including trying to enter the country while in possession of medical marijuana, a restricted firearm, or an unvaccinated dog. Even though cannabis is now legal in Canada, you are not allowed to fly or drive to the country with marijuana in your possession (even if you are coming from a state with legal pot). If you have been turned away from Canada for any of these reasons, phone our Canadian immigration law firm now for a free evaluation. When an individual is denied entry to Canada from the United States of America, they are informed of the official decision in writing. If border agents have denied you entry to Canada, it is crucial that you obey their orders and do not try to cross the border again until you are legally permitted. It can be counterproductive to dispute the denial with the Canada Border Services Agency since entry to the country is always at their sole discretion. Instead, if you still wish to get into Canada your focal point should be obtaining approval to re-enter the country in the future, and contacting an experienced Canadian immigration lawyer can help. Attempting to get into Canada at a different Port of Entry is a horrible idea and can get you banned from the country for as long as three years. In many situations where a US citizen is refused entry at the Canadian border, the visitor is allowed to request permission from the CBSA to officially withdraw their application for admission to Canada. If this "withdrawal of admission" is granted by border agents, the individual will be permitted to return to the US without having to experience a formal removal proceeding. Buying a one-way ticket to Canada can also raise a red flag amongst Canadian immigration officials. A one-way plane ticket makes it look like an individual has no intent to leave Canada once they arrive. Even if the departure date from Canada is unknown, many people prefer to buy a return ticket and then cancel or postpone the trip home rather than attempt to explain to border security that the length of their trip is not firm. To get around maximum visit durations or simply to visit a neighboring country, foreigners living in Canada may briefly travel to the USA (often for just a weekend) and then attempt to re-enter Canada only to run into problems. Re-entry into Canada can be just as difficult as entering the first time, and you can be denied for reasons such as criminal inadmissibility even though you have been successfully living in the country for the past few months. For this reason, it is extremely important that before you leave Canada for any reason you gather all the relevant documentation needed to re-enter the country successfully. When it comes to DUI Canada entry, being a resident does not necessarily ensure you can enter Canada with a felony or misdemeanor drunk driving charge. This means that it is possible for a foreign national with a Canadian Work Permit or Study Visa to be not allowed to enter Canada because of a criminal record. In rare circumstances such as serious criminality, even a Canadian Permanent Resident Card (Canada PR Card) holder could be deported or refused entry at the border. If you have been denied entry to Canada, it may be possible to obtain the notes of your border denial from the Government. The Computer Assisted Immigration Processing System (CAIPS) and FOSS computer systems have been superseded by the Global Case Management System (GCMS), which holds all the information related to your Canadian immigration file. Unless you are attempting to enter the country as a refugee or feel that proper procedures were not followed by border staff, however, there may be no point in securing a copy of your case summary. If you are considering applying for permanent residence in the permit holder class, you may be happy to know that you cannot be stopped from extending your temporary residency status simply to preclude you from becoming eligible to apply to become a Canadian permanent resident. When it comes to foreign nationals being inadmissible on health grounds, the risk assessment performed by a border officer is convoluted as he or she determines if the visitor could pose a threat to the public. A visitor could be denied entry on the grounds of health inadmissibility if they are suffering from a communicable or contagious disease, or if Canadian taxpayers might end up footing the bill to cover the cost of the person's treatment because they lack adequate health insurance coverage. Travelers will be informed of all negative decisions made at the border in writing, which helps reduce any confusion as to whether or not you are admissible to Canada. Canadian border background checks can reveal a tremendous amount of information about a party including any present driving restrictions, warrants, or even if they have a restraining order placed against them. It is foolish to think that border authorities cannot see drunk driving charges, and even more stupid to attempt to travel internationally when you have a bench warrant (even if it is from another state). Crossing the Canadian border with a DUI that makes you criminally inadmissible to Canada without receiving a refusal of entry is possible, but you either need Government permission or to get lucky. If all charges against you were dropped by the prosecutor or you received a comparably positive outcome, you should always bring a copy of the municipal, county, or federal court records with you to show the guards at the border to prove your entry is justifiable despite the initial event showing up on your crime report. A distracted driving citation for talking on your cell phone or texting while driving should not result in a ban from Canada. Please do not talk on your mobile or text when driving though, as statistics show you are 23 times more likely to be involved in a crash or near car crash event. Law enforcement agencies across the United States are also cracking down aggressively on people who text and drive, even posing as homeless panhandlers at various intersections to catch distracted motorists. According to statistics obtained by Canadian news organization La Presse, the number of Americans denied admission while trying to enter Canada has skyrocketed recently. The figures show that 30,233 Americans were denied entry at the Canadian border in 2016. In 2014, the number of Americans refused admittance was 7,509. As of December 2018, a DUI is now a serious criminal offense in Canada. Consequently, the number of people getting rejected at the Canadian border due to past impaired driving offenses could continue to increase in the future. A person with more than one misdemeanor that equates to a hybrid or indictable offense in Canada may never automatically be deemed rehabilitated by time and could be denied entry at the Canadian border even decades later. If you are a convicted felon or have a misdemeanor that equates to serious criminality in Canada, you may also never be eligible for Deemed Rehabilitation and could be considered inadmissible to Canada forever unless you request special entry permission. As of December 2018, driving under the influence of alcohol is considered a serious crime in Canada with a maximum term of imprisonment of ten years. Consequently, a single impaired driving offense can cause an American to be denied entry by Canada regardless of how long ago the incident occurred. An offense does not have to result in a criminal conviction to cause problems at the border, civil violations and traffic infractions that involve the intoxicated operation of a motor vehicle can also result in a visitor being rejected at the Canadian border. Any offense that involves physical harm to others is excluded from automatic rehabilitation, and consequently an old assault or domestic violence conviction can cause a person to be denied entry into Canada. If a visitor has two or more violations that equate to a summary offense in Canada, but none that equate to a hybrid or indictable offense, they may be eligible for Deemed Rehabilitation after five years but could still be denied entry by border officials if they do not have the right documents. If a traveler has one conviction that equates to an indictable or hybrid offense and two that equate to a summary offense, they could be considered ineligible for entry for life even if none of the offenses are considered serious criminality. Whether you have two misdemeanor DUIs, or a theft offense and two disorderly conduct convictions, any foreign national that is permanently inadmissible to Canada due to criminality risks a border refusal regardless of how long ago the offenses took place. In other words, anyone with a second misdemeanor conviction may need to apply for a Temporary Resident Permit or Canada Criminal Rehabilitation if they ever want to travel north of the border again. Receiving a Temporary Resident Permit (TRP) or Criminal Rehabilitation after an entry refusal can be more difficult, so if you fit into this category, it is important to realize that it is advantageous to overcome your inadmissibility before you risk getting stopped at the Canadian border. Even if you only have one misdemeanor on your record that is not considered a serious offense in the great white north, entering Canada with a criminal record may only be possible without Criminal Rehabilitation or a TRP ten years after full completion of sentencing, not ten years from the date of conviction. Depending on how long probation took to complete, how long the trial process stretched out, or if a person slowly paid their fine over a number of months, it could take more than 15 years from the day a person was arrested before they are legally permitted entrance into Canada again, unless of course, they apply for special permission from the Government. Starting in September 2016 all visitors to Canada from visa exempt countries, with the exception of citizens of the United States, will need to apply for an Electronic Travel Authorization (eTA) in order to fly to Canada. 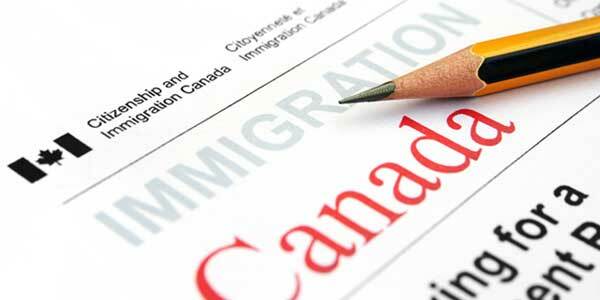 People who are inadmissible to the country, such as those with a criminal record, may have their eTA denied by Canada. Being refused a Canada eTA is essentially the same thing as being banned from the country since flying is typically the only way to access the nation and you will not be permitted to step foot onto a Canadian bound aircraft without a valid eTA. After successfully petitioning the Government for a Canada TRP or Rehabilitation, it may be possible to obtain a Canadian eTA after an initial denial. If you wish to fly to Canada but were refused an eTA because of criminality, contact us today. By researching Canada DUI entry laws before your trip, you can anticipate if you might have issues at the Canadian border and can consequently make plans to prevent them. If you suspect that immigration officials might not believe that you are only temporarily visiting Canada, you should bring documents that prove you have ties to the US and will be returning there at the end of your trip. If you think that border agents might be concerned that you cannot afford your vacation in Canada, bring proof of funds to show them that you can. If you have a criminal record for impaired driving, you may need to get a Temporary Resident Permit or Criminal Rehabilitation to be criminally admissible to the country. Even celebrities such as Chris Brown have faced a border denial due to a felony or misdemeanor on their criminal record, so if you have any criminal history, you should plan ahead before attempting to cross the border. If you are participating in a criminal diversion or deferment program, you may be non-eligible for travel to Canada until you have fully completed the program and have documents demonstrating this. Even if you plan to go to Canada with an expunged DUI, you may need to prove to border officers that you are admissible for entry. Not all expunged convictions equate to a record suspension in Canada, and consequently some DUI expungements could still put a traveler at risk of a denial by Canadian border authorities. In addition to a DUI or DWI, other driving violations that involve alcohol that can render a person inadmissible for travel to Canada including OVI, OWI, DWAI, DUID, and wet reckless driving. Many Americans who are denied entry at the Canadian border are interested in learning how to cross the border again successfully. In order to travel to north of the border after being refused entry, a person must overcome the reason they were rejected in the first place such as criminality or lack or ties to their home country. A foreign national can visit Canada after being denied entry due to a past criminal conviction by obtaining special permission from the Canadian Government in the form of a Temporary Resident Permit. They can also "erase" the crime and begin to travel freely to the country again by completing a process known as Canadian Criminal Rehabilitation, which is the permanent method to fix criminal ineligibility. If immigration officials stopped you at the border and sent you home because you lacked ties to the United States, you simply need to bring more evidence with you that proves you are not planning on staying in Canada indefinitely. Proof that you have a mortgage or lease an apartment, and that you have a job back home in the US will often satisfy border security. If you were denied entrance into Canada because you did not have enough money on you, the solution is to gather evidence that demonstrates to border authorities that you can support yourself for the duration of your trip. If you are visiting loved ones in the country who will be helping to pay your expenses while in Canada, a letter of support from a family member or significant other stating this fact can also help justify your entry at the border without needing a large sum of money in your bank account. If you were denied entry to Canada from the US because your passport was expired, you simply need to get a new passport and try again. If you have been denied when flying to Toronto or another Canadian city, you should not book another flight to Canada until you have directly dealt with the reason for your refusal. If your denial was due to criminal inadmissibility, you should obtain a Temporary Resident Permit or Rehabilitation before trying to fly across the border again. Travel to Canada after being denied is possible once you have overcome your inadmissibility, but until this time you should not try to keep gaining entry as it can lead to additional immigration violations. If you have been denied admittance into Canada due to a DUI or other reason, contact us now for a free assessment.